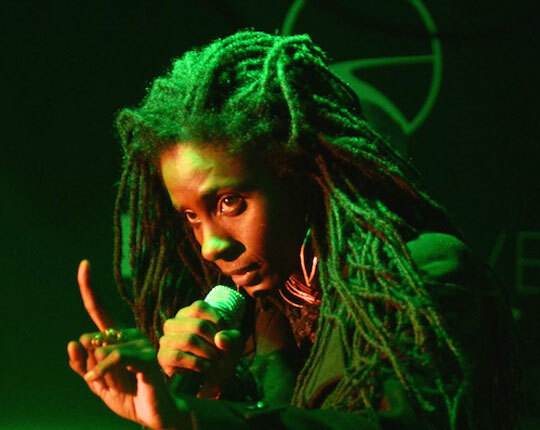 Jah9 (née Janine Cunningham) is a young roots reggae singer from Jamaica. Her 2015 international debut release New Name, has earned her plenty of attention, and she is currently making her second visit to the U.S. this year, including a stop at New York’s SOB’s on July 27. 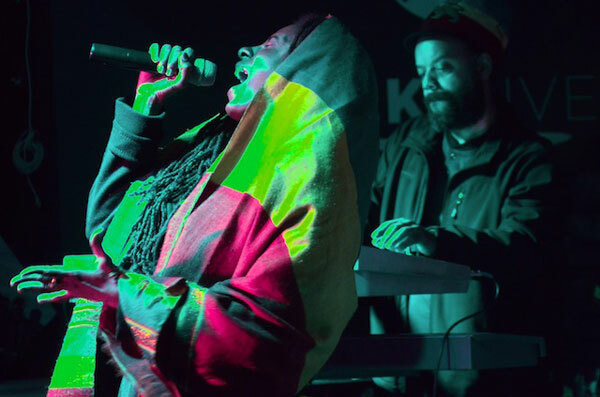 In February, she played Milk River Cafe, Brooklyn, bringing Jamaican warmth and uplift to one of the coldest nights of a very cold winter. 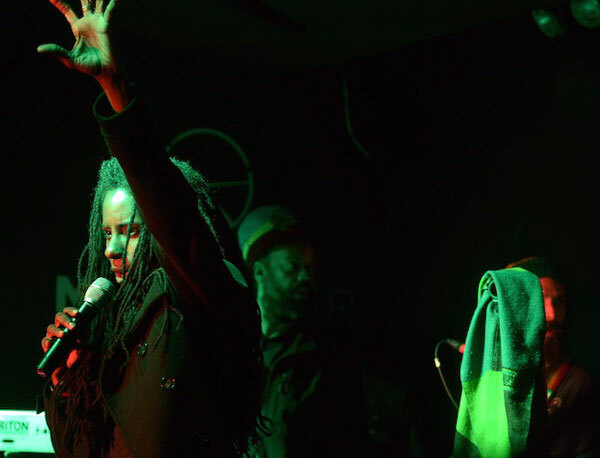 Afropop’s Banning Eyre sat down with Jah9 before the show in the Café. Here’s their conversation. 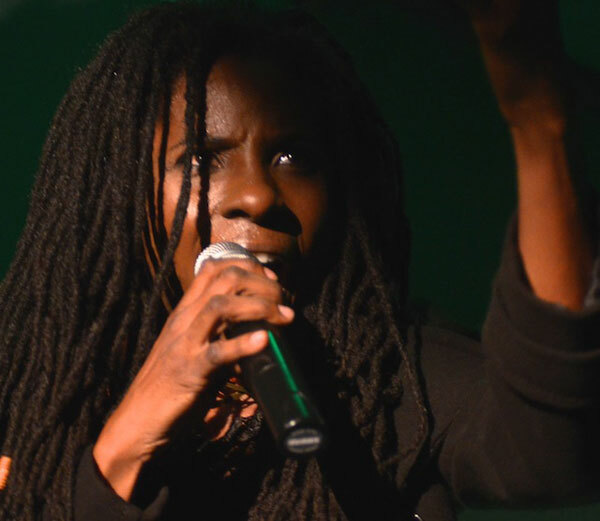 Banning: So Jah9, introduce yourself. 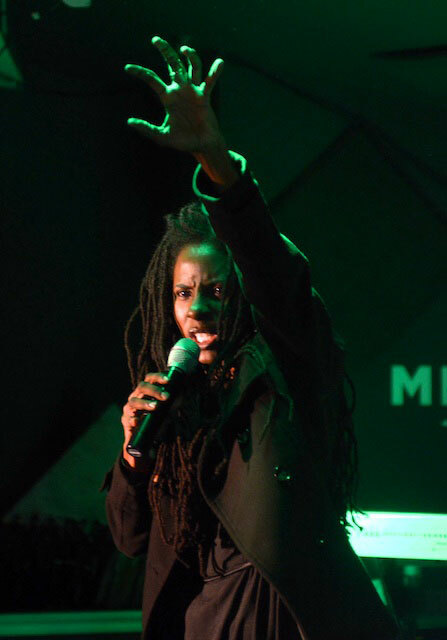 Jah9: I am Jah9 of Jamaica--musician, producer, yogi, African, Rastafari, humble servant. Beautiful. 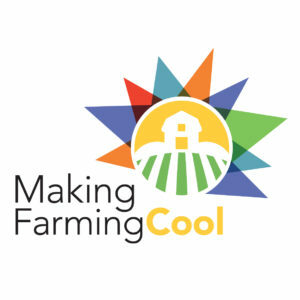 Tell me about your musical career, how you became a musician. Well, I have always been singing since I was young. My father is a Baptist pastor and one thing about the Baptist church, it’s very musically rich, so by the time I was six years old I knew maybe hundreds of hymns already and choruses. I would always be singing and there's a lot of singing in my home. My mother and my sister sing as well, so it was really musical—not in an industry way but in a family kind of always singing kind of way. This is in Trelawny. I grew up in Falmouth, Trelawny, which is countryside, west side of Jamaica, very different from Kingston: traditional Georgian architecture, a lot of old people, traditional values, very connected with more of the folk roots of Jamaica like Junkanoo and storytelling and Anansi the Spider and moonshine stories and all of these things. And it’s below sea level so people were very connected to the sea and also to the land. You hear about—that's where you say muti is from. Enough yam, enough of the girl provisions as well, so real traditional values in that kind of atmosphere. And then I moved to Kingston and that's when I started to join a lot of choirs—school choirs, church choirs—and the singing expanded more there. And also my poetry, those are two things that were always kind of parallel. I never had any intention of being a singer, never had any aspirations of doing this professionally, but always was singing. So the idea that I would grow up to make money and a living off of something that I would have been doing anyway is just a dream. But you know over time as I was growing up I started to share my poetry in the underground poetry scene and the reception—we're talking about late high school, maybe in the late ‘90s, early 2000s. 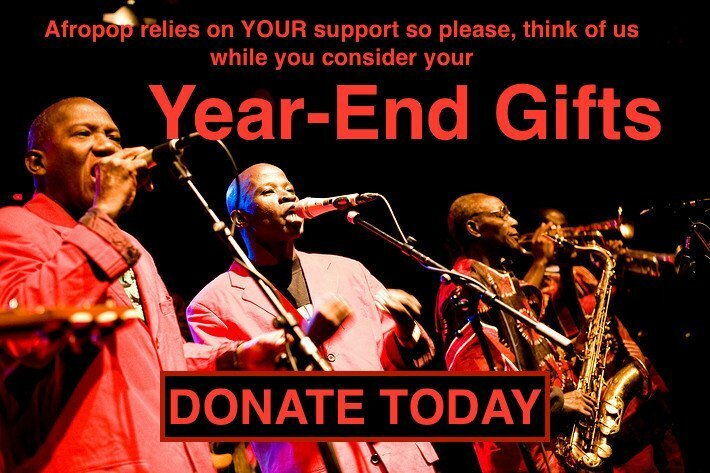 So this is when I was now starting to listen more widely than just gospel music and traditional jazz and I was listening more to roots reggae music and dub, and that's when I started to fuse the poetry and music together because I found a space for it, and I found my own voice at that time. And then I found something that I was so impassioned about that I wanted to share it, and that is the messages of Rastafari and messages of culture and these things that I found the people were relating to. So I wanted to share it and there was a lot of encouragement to share it. I met my now musical director Sheldon Bernard; he was with Beres Hammond at the time playing keyboard, and he introduced my music to Beres before I even knew that he was doing that. Beres gave me an opportunity to come into the Harmony House space and kind of experiment and work on an album, so I brought over a dozen songs in and he brought together some of the best musicians in Jamaica and just allowed me to kind of experiment with sound in that space and really helped me to learn how to use the studio space to create a timeless record. And you know, invaluable experience from him. And then I met Rory Stone Love and Don Corleone and many of the other top names in Jamaica and they were so encouraging of what I was doing with the music that it really helped to push me one step further every time. And then at the same time after I graduated from university early in 2000, and when I left university I went into corporate Jamaica, so that's when the early parts of my music career I was still in corporate Jamaica. Corporate Jamaica. I mean I was in the public sector and the private sector. I only stayed anywhere for one year because I knew I didn't want to do it forever, so I just wanted to get different kinds of experiences to add to my anthropological experiment that was going on. Is that what you studied in university, anthropology? I studied psychology, human resource development, and criminology. A little bit of philosophy too. So everything has kind of been me as an outside participant-observer of everything around and so it reflects in my writing: a lot of introspection, a lot of social observation, a lot of commentary. So it gave me an opportunity—being in corporate—it gave me an opportunity to kind of learn about how my work ethic was going to develop. So there's some invaluable skills that I learned in corporate Jamaica, but when that time was spent I transitioned out of that and kind of started to just focus a little more on, O.K., what do I want to make of a career in music? And then, just observing what was already there and deciding how I would make my own way. You know, I really haven't had some of the struggles that a lot of people go through in this industry. I didn’t have to make a lot of compromises of my integrity, because I had never been that hungry, so I didn't have to compromise too much. I was able to take my time and it's been many years in the making, so people might just be hearing about me or some may not even have heard as yet, but it's been many years in the making just steadily growing, making sure that I don't get ahead of where I can manage. Because there is no big record label backing, there is no big management team. It's only this year that I got on board to say I'm going to push into the U.S. now so I need to get a U.S. PR agent to kind of do that ground work. But it’s always been very strategic in a sense but also kind of open because I didn't want to plan too far ahead because sometimes planning can be a limitation you know? So sometimes it's good to just be open, so I've just been observing life and just absorbing all of the things that are coming. So the social issues happening around me, I am able to comment on, but at the same time I'm able to reflect because of my own philosophies and the principles of His Imperial Majesty and how it has kind of helped me to find peace in a world that encourages you to be angry. And that journey has really helped to mold the message that I have. It's interesting. Your beginning story is a far cry from Jimmy Cliff and The Harder They Come, isn’t it? I know, I know. I give thanks, I give thanks. And there are limitations to having a comfortable life versus a hard life, so it’s not that one is better than the other, because there is a lot to be had from—to feed your creativity when you struggle. But my struggles have been different. I've dealt with a lot of loss; I lost my brother when I was very young, and he was a hero to me. So to lose somebody who was so close to you when you are so young and you're just moving into a new environment, it kind of pushes you into yourself a little bit. And so that great loss sort of helped to channel me inward, and really profoundly impacted my writing, and my perspective. I can see that, sure. I'm interested in the Rastafari aspect: You said you were raised in the Baptist church, old-school Christian religion. At what point did Rastafari enter into your cosmology, psyche, and was it a conflict at all? You know, the conflict was really within myself, because I didn't have a lot of Rastafari influences in Trelawny where I grew up. But my father was very Afrocentric, so there would be a lot of books around that would speak to the real history of us as a people. So I learned very early that my history didn't start at slavery. It's when I went to high school that they tried to teach us that—that's where they start teaching you about yourself from—that you are descended from slaves and I rejected that. So I was always very confrontational in high school, but I managed to do well because I have sense, I can read. You can formulate your opinions; I was very highly opinionated at that time, always very Afrocentric. And it made me very militant and very hard. And then Judeo-Christianity also will do that to you, like it will create this filter with which you see the world. When I went to university, I was first introduced to His Imperial Majesty, not just as an idea, but as an actual human being that came, and what he said, and who he was. And that introduction came from educated people, educated Rastafari people who were not Rasta because they never had a choice; they chose this way of life and that intrigued me that somebody would choose to do this. I always connected with Rastafari but not in any meaningful way until I was able to connect with some of these ones who—I saw an example in them. I saw a dignity in them that really impressed me: the way they ate, the way they dressed, the way they spoke, the defiance with which they just deconstructed the English language was just amazing to me. So I really connected with that. And even with marijuana; I really understood what its use was when I went to university and I started to use an instrument we call the steam chalice. I've spoken about it a lot, but it is really a very awesome and significant way to intake the herb so you get the most of the medicine from the herb that way but you don't get any of the side effects of combustion. The herb doesn't burn, and you can mix it with other herbs and garlic and anything you want to kind of use it as aromatherapy. And that's how I was introduced to it, so even though I don't smoke, I only steam. All of these things combined to kind of create the way for me to be more open to what was happening there. And then I started to read on His Majesty—not books about him, but I read his autobiography, both volumes of his autobiography and then I got his speeches, all the speeches, his public speeches in two thick volumes, and I just started to absorb that. And I realized that if Rastafari is to represent His Imperial Majesty, then it's this man who they call the Prince of Peace. It’s not a war and bomb this and bomb that, it is the height of diplomacy, the height of reverence, honoring woman as equal. Monogomy. All of these are the principles of Rastafari, the true principles, not just what is perpetuated by the ignorant. So I connected with that, and that kind of changed me from being militant and hard to kind of embracing even more of my femininity, and more peace and love as the powerful tools of change rather than violence you know? And that's what I wanted to share, and that has been my journey: reconnecting with my spirit, and removing the limitations of religion and the container that is religion. I am glad for that beginning, because it helped me understand the important of reverence and the importance of spirit, and knowing that we are spirit and we have bodies. So we give thanks for that beginning and my parents, because we were always close. I kind of had a sheltered upbringing; I didn't live in a big community, I lived on a school compound when I went to Kingston when I was nine years old. And so there weren't any neighbors: it was just my Dad and my Mom and my sister. And we were beside a school, and so I spent a lot of time reasoning with them and so because they were there all along the journey, it wasn't like, “Boom! Now she's a Rasta. Oh, my gosh.” They were there; they knew that this is the same girl that we raised, we have to have faith in her, we have to give her the space. And in giving me the space, this is what manifested, and they are my biggest fans and supporters right now and I could not be here right now without their support. So yeah, the journey has been togetherness. That’s fabulous. Let's talk a little bit about this record, New Name. Tell me where it fits in things and maybe you could just tell me about a few of the songs on it. Well, the new album is my first released record. I started working on a record maybe seven years ago with Beres Hammond—that is still in the works; you know how that goes—but the record I released with Rory Stone Love it really was important that that was the first one. You know it’s afterwards you look at it and it was probably very important that I introduced myself in this way. So New Name kind of speaks to me as a new name, but more importantly it speaks to the idea that Haile Selassie is the new name that I know have to refer to when I think about an example. So the principle of Christ has been so debated, and Jesus, and the letter "J," and what he looked like, and all of that so that can be confusing when you want to talk to young people and young black men about how they should live and who should be their example. Haile Selassie proved to be the perfect example, the perfect example especially for youth who have been fatherless and who don't have good male role models. And so I was very impassioned about bringing this message in this way and kind of ensuring that as much as we bring it with the passion and to show the injustices we show the balance of it to say there is hope and there is another way we can live, you know? And not just saying Jah9 say that, but Haile Selassie say that, so we are always pointing them beyond ourself. And I've made this music for myself; it’s my mantra music; its music I listen to to remind myself who I want to continue to be. 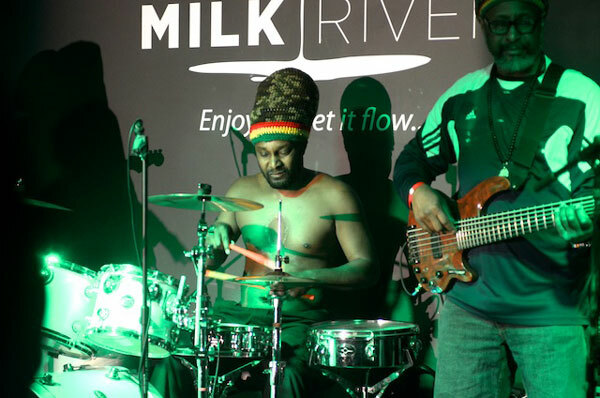 So when I see others connecting with it, like the European market have really embraced the message, and they're the ones who really follow roots and reggae music, so it's like they understand what I'm trying to do and they really give a lot of support. We're coming into the U.S. market now and I mean there's so many influences on you over here. It’s so hard to get a word in, but when we do get a chance to share in spaces like this, it's almost transformational what is possible here, and you see how the people react to it and you realize, yeah, man, even though they may not get access to it, when they do see it—especially live—they connect with it in a real way. So it really justifies making the move and coming over into the snow. But the music is always coming: We're always making music, there's productions coming. I write all the time; I've been writing since I was able to read at a very early age so its just a matter of when you're going to put it out, what you want to say. Is it time to say this yet; are they ready to hear this; will they reject this now; do I have to say this first and then I will say that? So we're using our psychology and our human resource development to kind of govern how it we represent information to the people so that they can be served by it. So this is your first time in the U.S., this tour right now? No, I have been to the West Coast, but never over in the East Coast. The West Coast is like a whole other country; it’s not even America. Well, that's what they say about us here in New York. It is really wonderful to meet you; I can't wait to hear the show tonight. Maybe you could just pick one or two songs from the record and just tell us the title and something about it. 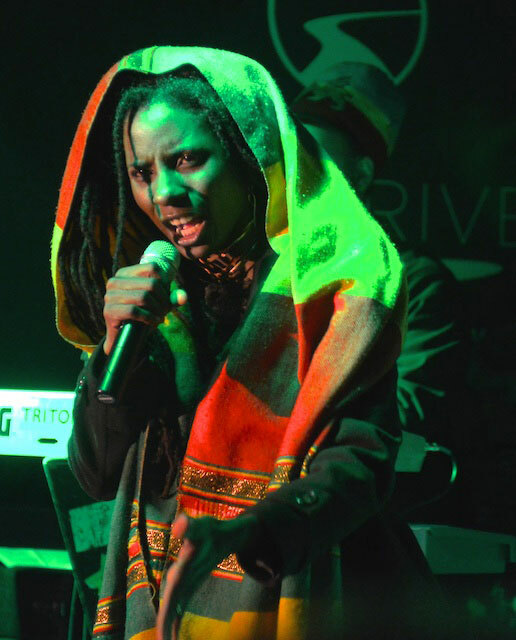 I'm going to tell you about three songs I think you should look out for, not just based on the record, but just three Jah9 songs you should look out for. It will kind of give you an idea of who I am. One song is “Preacher Man.” “Preacher Man” is a song that was inspired by my father, not because he is the one I am talking about, but because he is a great example of a servant to I. And so when I moved out of the church environment and started going to the city environment and realized, Oh, the city pastors operate differently from the country pastors. I realized, Oh, these are social climbers: this is not servants, these are people who want to be served. This is when I was transitioning out of the church, I wrote that song. So “Preacher Man” is a good song to kind of give you an idea of how I feel about that experience. Another song that is a very strong song for me is the song “Gratitude” off of the album. That's like a mantra song for me that I repeat to myself because it kind of identifies how I see life manifesting: “As a man thinketh in his heart so is he.” Whatever you're dwelling on is the reality that you are creating. Use your concentration wisely because your only limitation is your imagination. So it's those kinds of mantras that I will purport. “Steamers a Bubble.” That's not on the record, but you can find it. 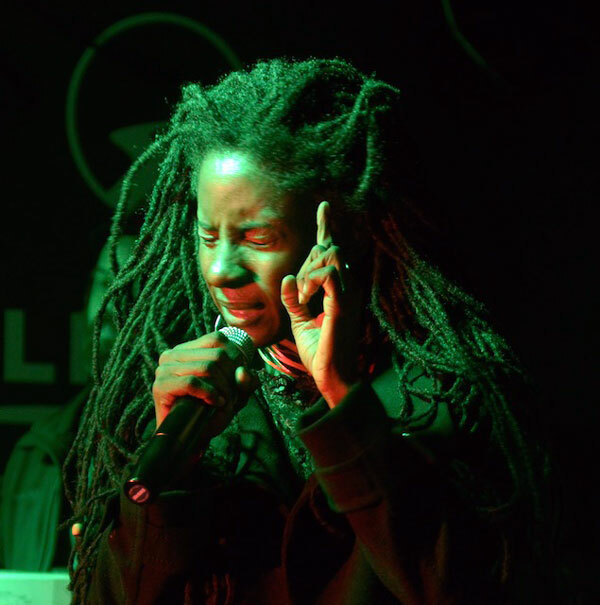 I'm on all the social media, just search Jah9. And of course I can't leave out “Avocado,” we just released a video for it and that's a song as well. 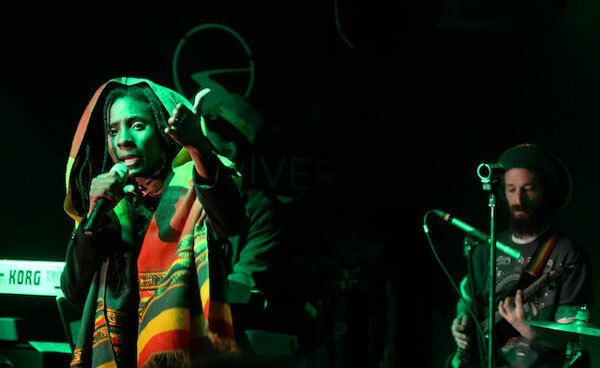 It's probably a lighter side of Jah9—a more feminine, playful side—but it also has those subliminal messages there as well about family values and how men and women should relate to each other, and the idea of love and security not being about financial wealth, but being about taking care of each other and serving each other in real ways. So yeah man, check that out, and check YouTube. And you really just have to come out and see Jah9 live to really get the experience of what it is because as a yoga instructor I try to infuse even the breath into the performances and to try and leave something lasting with the audience. That's beautiful. Thank you so much.